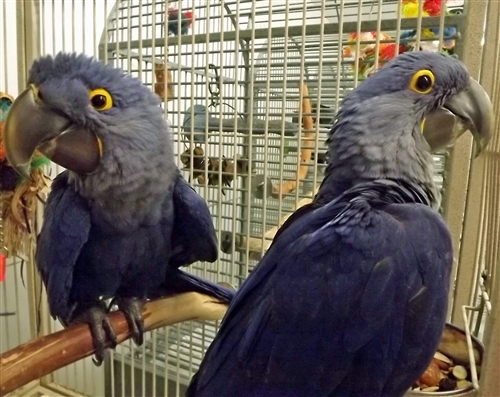 We have 2 Hyacinth Macaw Parrots Available for rehoming. They are 18 weeks old and still being handfed. Both are very sweet birds. Raised around family, kids, dogs etc and given lots of attention to b.. 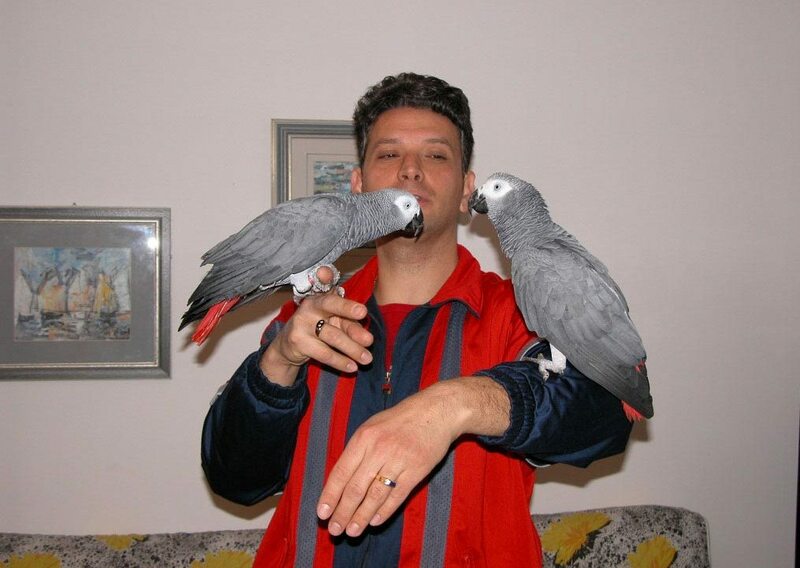 PAIR OF AFRICAN GREY PARROT .African grey , she is 3 years old, just started to talk for exmple: miau, hello, how are you. selling with two cages: the big one in the pictures and there is one smalle..